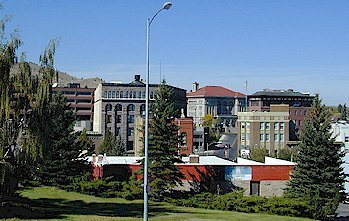 City of Helena. 316 North Park, Helena, Mt 59623. Carroll College. 1601 North Benton Avenue, Helena, MT 59625. Phone: 406-447-4300. Lewis & Clark Library. 120 South Last Chance Gulch, Helena, MT 59601. Phone: 406-447-1690. Great Falls Tribune. 104 East Broadway Street #7, Helena, MT 59601. Phone: 406-442-9493. KMTX. 516 Fuller Avenue, Helena, MT 59601. Phone: 406-442-0400. KZMT. 110 East Broadway Street, Helena, MT 59601. Phone: 406-442-4490. KHKR. 110 East Broadway Street, Helena, MT 59601. Phone: 406-442-4490. Helena Regional Airport. 2850 Skyway Drive, Helena, MT 59602. Phone: 406-442-2821. Avis Rent A Car. 2850 Airport Road, Helena, MT 59601. Phone: 406-442-4440. Enterprise Rent A Car. 1521 North Montana Avenue, Helena, MT 59601. Phone: 406-449-3400. Enterprise Rent A Car. 1200 Bozeman Avenue, Helena, MT 59601. Phone: 406-443-2308. Hertz Rent A Car. 2850 Skyway Drive, Helena, MT 59602. Phone: 406-449-4167. National Car Rental. 2850 Skyway Drive, Helena, MT 59602. Phone: 406-442-8620. Helena Area Transit Service. 630 North Last Chance Gulch, Helena, MT 59601. Phone: 406-447-1580. Rimrock Trailways. 3100 US Highway 12 East, Helena, MT 59601. Phone: 406-442-5860. Capitol Taxi Courier Services. 3710 North Montana Avenue, Helena, MT 59602. Phone: 406-449-5525.